When will be 50 Central next episode air date? 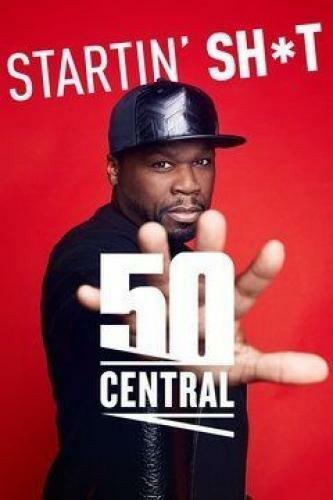 Is 50 Central renewed or cancelled? Where to countdown 50 Central air dates? Is 50 Central worth watching? Learn how to live within your baller budget. A prank with comedian DC Ervin almost comes to blows over a fictional phone bill. Comedian Mario Tory takes the stage. We meet bank robbers with an unexpected moral code. Plus, music by Young Scooter and Future. Toya's back with advice for all the flirtin' white guys out there. A risque focus group goes awry. Comedian Chaunte Wayans takes the stage. We witness the slippery slope when edibles integrate with Girl Scout cookies, plus exclusive music by Gucci Mane featuring Slim Jxmmi and Young Dolph. 50 Central next episode air date provides TVMaze for you. EpisoDate.com is your TV show guide to Countdown 50 Central Episode Air Dates and to stay in touch with 50 Central next episode Air Date and your others favorite TV Shows. Add the shows you like to a "Watchlist" and let the site take it from there.